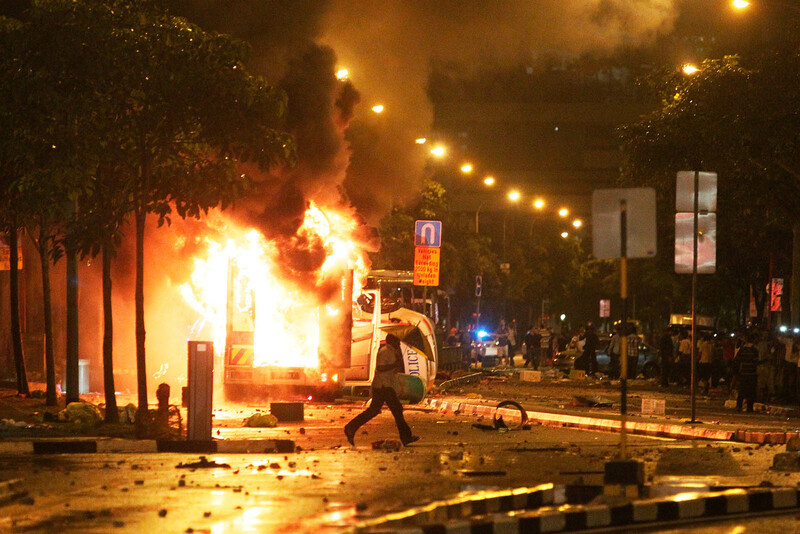 SINGAPORE - The way riots are handled in Singapore has evolved from a force-first approach using tear gas and baton charges decades ago to one that is more calibrated. 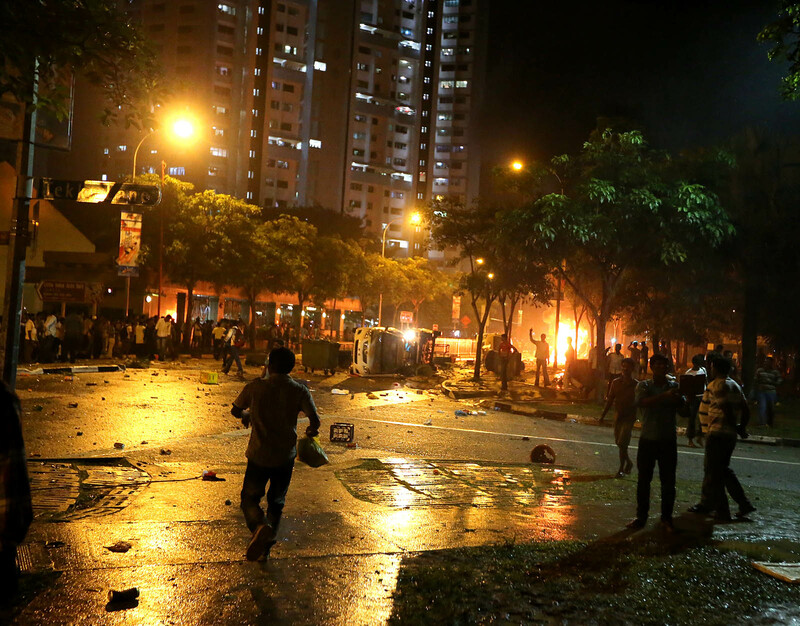 Still, "there is no textbook solution", according to former police commissioner Khoo Boon Hui, who submitted a six-page report to the Committee of Inquiry (COI) looking into the Little India riot. The 59-year-old Senior Deputy Secretary of the Home Affairs Ministry said last Friday: "You have to use your head, use your judgment. Doctrines and manuals cannot be exhaustive and should not preclude the innovative use of strategies and tactics." Tracing the evolution of riot doctrine, he explained how riot squads - the predecessor of the Special Operations Command (SOC) - were first formed in 1952, after the Maria Hertogh riots. In the early years, aggressive tactics were needed because of extreme violence seen in incidents like the 1960s communal riots. 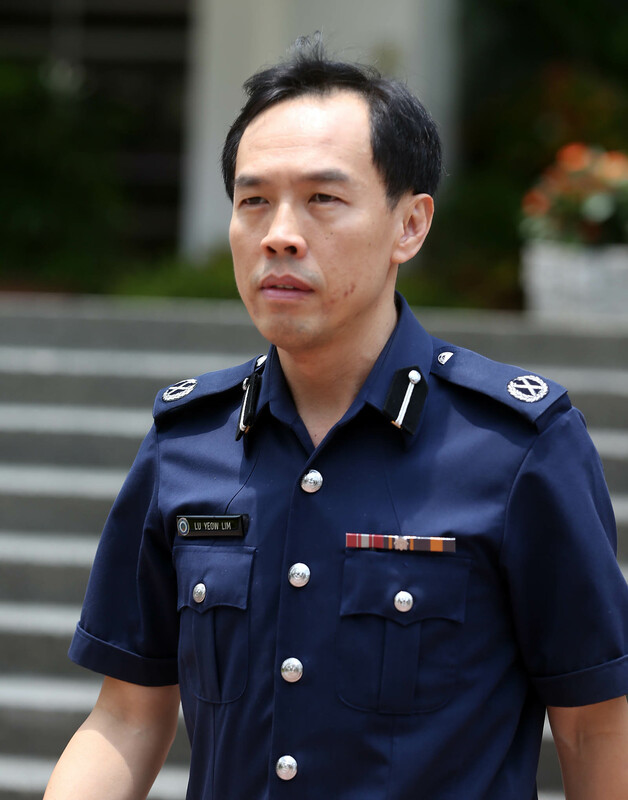 But strong-arm tactics such as the use of tear gas and baton charges would no longer be deemed acceptable today, said Mr Khoo, who was police chief from 1997 to 2010. 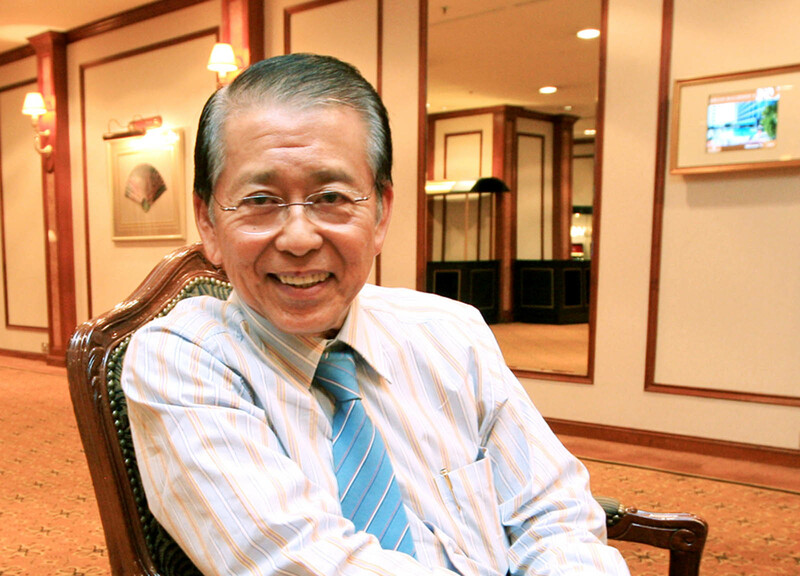 Passive resistance tactics have been adopted by the SOC, following studies of measures taken up overseas, said Mr Khoo, who also served as Interpol president from 2008 to 2012. Today, police commanders approach public order incidents with three objectives in mind. First, riots should be quelled "with minimum casualties, especially to innocent bystanders, responders and, of course, the rioters themselves". While minimising any spillover or escalation of the riot, the police must be seen to take "resolute but appropriate" action. 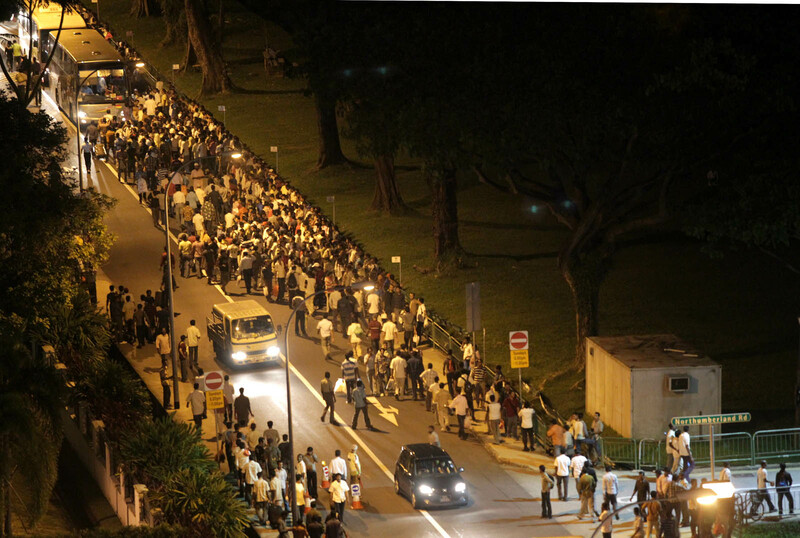 Lastly, the police have to instil public confidence by decisively resolving the incident. 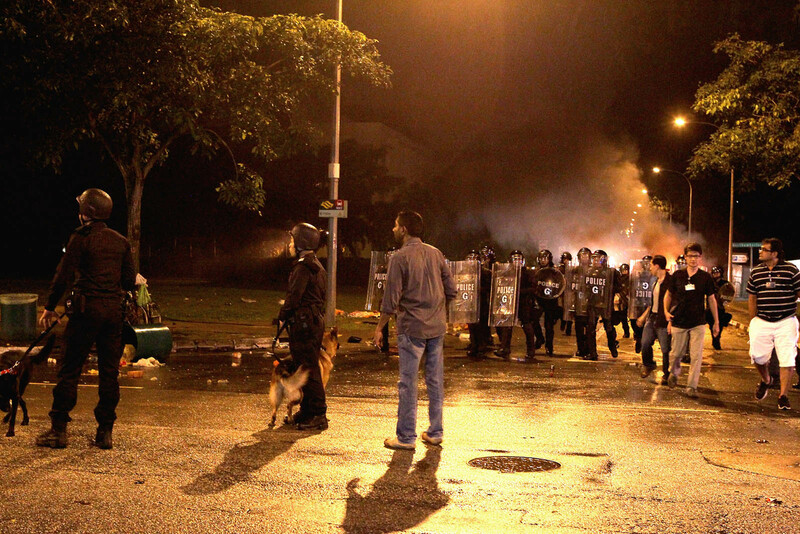 "At the end of the day, you can't just stand by and then in the end let the rioters escape. 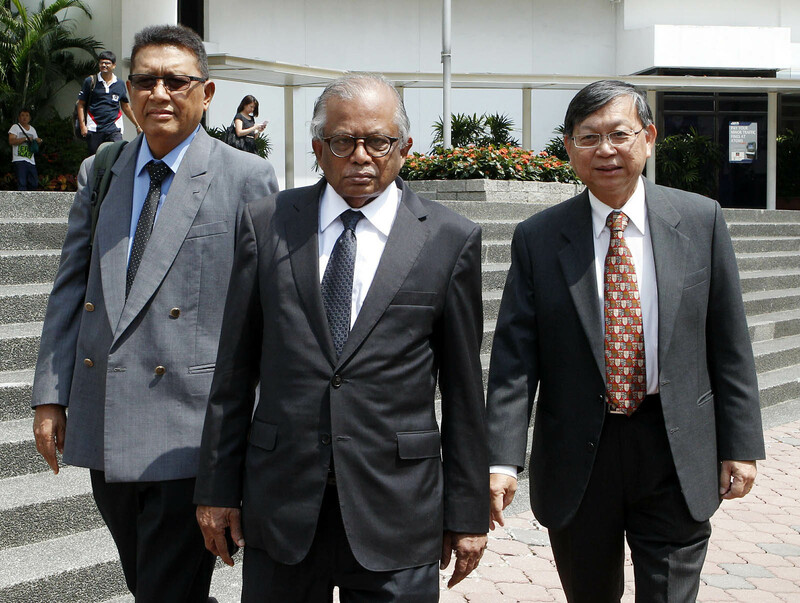 You have to bring people to justice," said Mr Khoo. 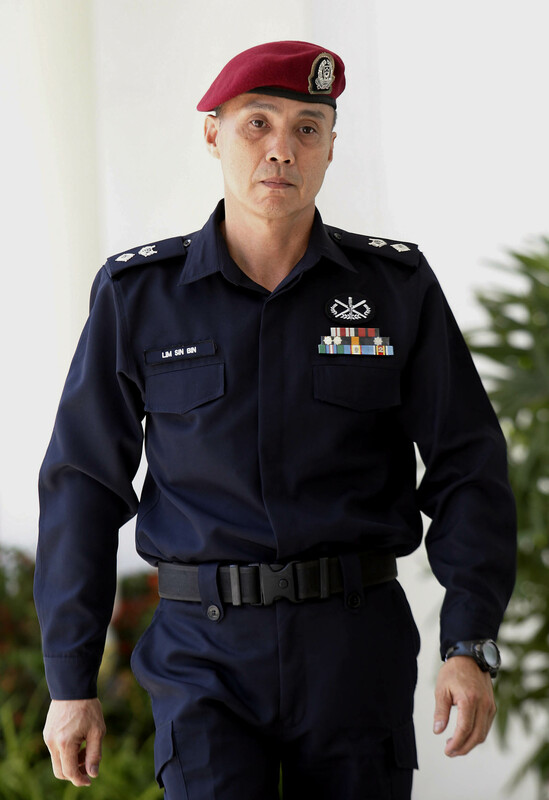 He prefaced his testimony last Friday by saying he would not judge police actions taken on Dec 8 because he was then in Qatar on official duties, and had not been involved in the active management of the incident since. 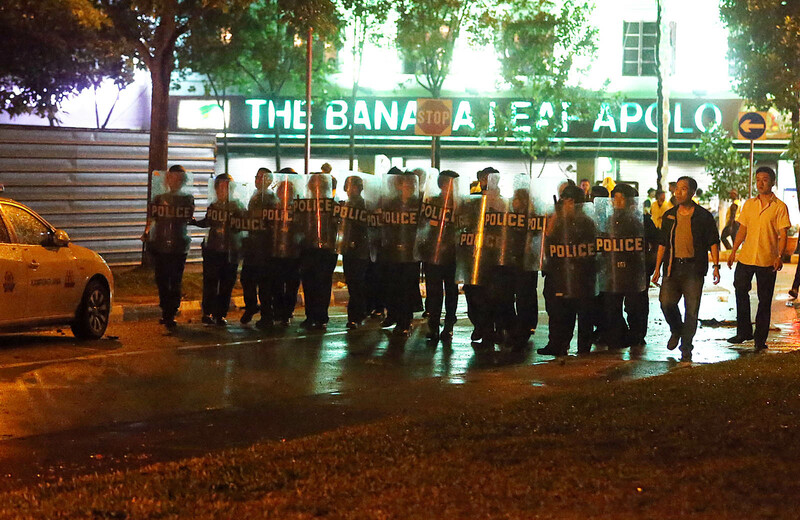 During the inquiry, committee members have questioned how the police responded at the scene. 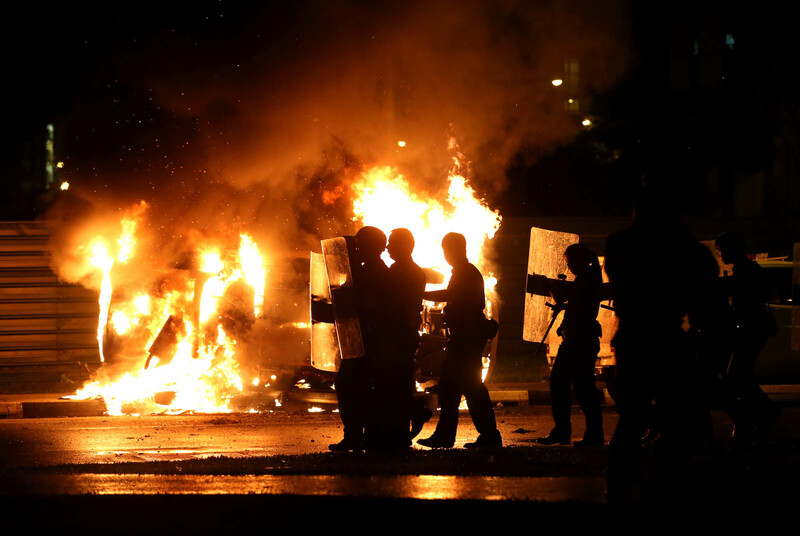 They pointed out that the decision to hold the ground instead of facing rioters head on could have emboldened troublemakers, who ended up damaging 23 emergency vehicles. 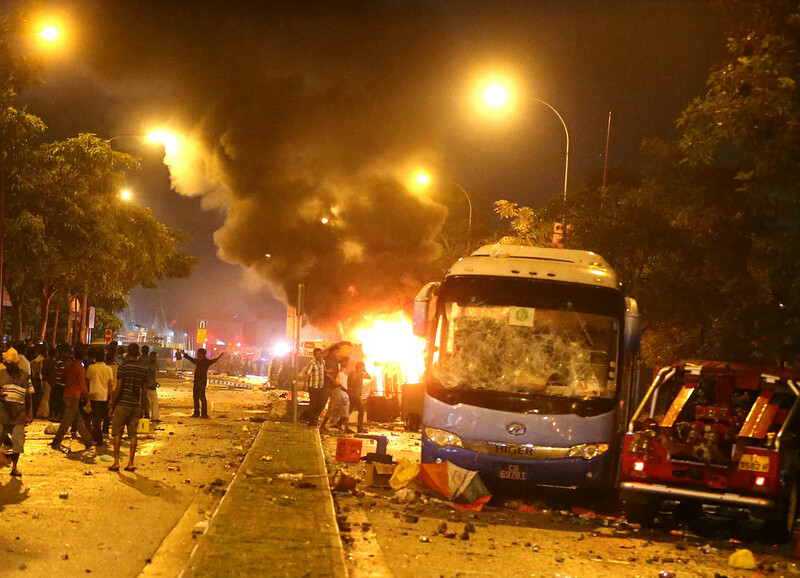 The incident also left 49 Home team officers injured.